Rapper Professor Green has cancelled his UK tour just hours before it was due to begin after fracturing his neck. Green, whose real name is Stephen Manderson, said he had three seizures, leading to a fall in which he fractured vertebrae in his neck. He posted a picture of himself on a stretcher with a neck brace after the fall, with the caption: “I had seizure this morning which resulted in a fall while I was packing for tour. “I’ll be back in the winter with a bigger tour. I’ve had two further seizures and am lucky I didn’t break my neck. Really f****** lucky. Thanks for baring with me. The 35-year-old was due to start his tour on Tuesday night at The Globe in Cardiff. On his second Instagram account, on which he posts more personal photos, he shared a picture of the bag he packed for the gig. He wrote: “Just after I sent this pic I sent to someone to say how ready for tour I was, I had the first seizure I’ve ever had which led to me falling without hands to soften the fall and fractured my neck in doing so. After I got to the hospital I had a second seizure with again no obvious cause. “There’s one theory – I’ve run myself into the ground doing way too much, over stretching myself as per usual and it’s finally caught up on me. “Seems quite likely. I’m gonna use this time to implement all the self care I encourage others to [p]ut into practice – and it’s going to stay in practice as there’s nothing like nearly breaking your neck to put things into perspective. He also thanked the friends who found him when he had fallen. 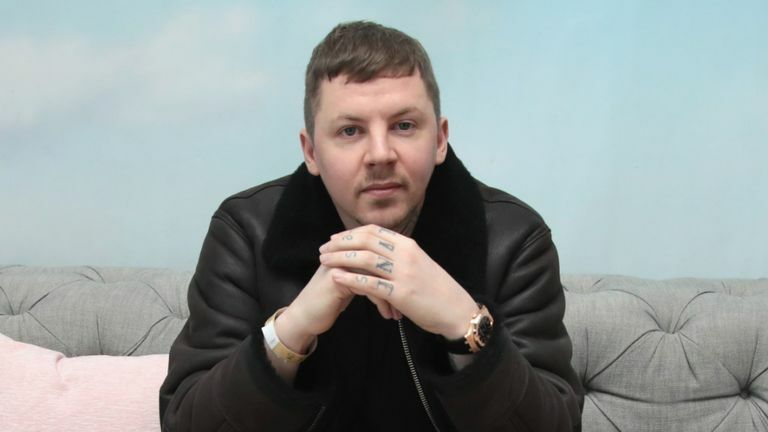 Professor Green’s spokesman said customers who bought tickets for the tour will be refunded.